Visiting literacy specialist Anne Hill asks the Grade R learners to explain what is happening in the images she shows them. This helps them to observe, interpret and verbalise. Teacher Thembakazi Matyeka sits in on the class, learning new techniques. If you were looking for the precise centre-point of South Africa, it probably wouldn’t be too far away from the Hantam Community Education Trust farm school, south of Colesberg. Founded 25 years ago by a trio of farmer’s wives who initially had nothing more ambitious in mind than a playschool for local children, this school has morphed and grown into a phenomenon that has literally changed the lives of thousands for the better. More than that, it is a beacon of light and hope for education in South Africa and a future-changing phenomenon for the 30 farms that surround it. 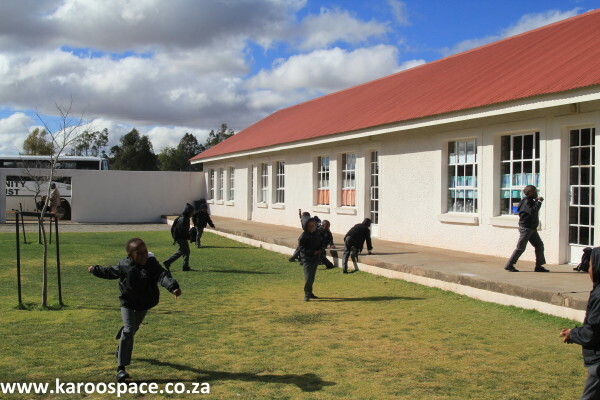 Children run around the green courtyard during break time. Set among blonde grasses, flat-topped hills, spinning windpumps and exclamation-mark poplars, HCET’s neat red roofs are visible from kilometres away. The bright South African flag flutters in a courtyard of clipped green grass. In the veld beyond, a small colony of ground squirrels fossicks about for seeds, sprouts and the odd termite. 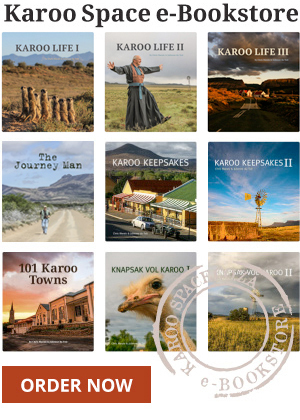 At any one time, you will find about 160 children here, mostly the sons and daughters of Karoo farmworkers and nomadic sheep-shearers. They are among South Africa’s poorest people, facing the attendant problems of malnutrition, ill health, alcohol abuse, isolation, ignorance and broken families. A major issue nationwide is that children with learning disabilities tend to drop out. The HCET fights this by teaching these children art skills, music, and coping methods. Yet the very real success stories coming out of this school are those of children from unpromising backgrounds who have gone on to become nurses, doctors, electricians, teachers, occupational therapists, book-keepers, bank-tellers, trackers, chefs and businessmen. “In one generation, we have made visible progress in breaking the downward spiral of poverty,” said Lesley Osler, one of the three founders along with Clare Barnes-Webb and Anja Pienaar. In 1997, Nelson Mandela himself handed them the President’s Award for Community Initiative for the Northern Cape – one of the many they have received. Lettie Martins showing mother Griet Hendriks to teach children the basic concepts of colour, shape, number and position while interacting normally with them. The reason Hantam Community Education Trust is making such a difference is not only because of the school’s innovative teaching methods for children from Grade 1 to Grade 9. 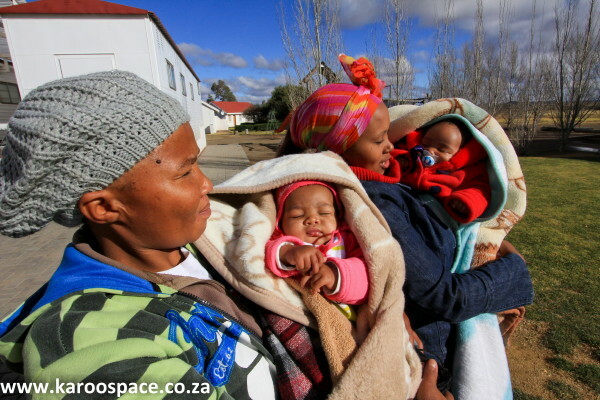 The Trust, which runs the school with the Department of Basic Education, begins its work right at the start of a child’s life – as soon as a mother falls pregnant on one of the surrounding farms. And it extends long after pupils have left school and found work. Trust workers go out on home visits to teach new mothers about good nutrition during pregnancy and the dangers of alcohol. As soon as their babies are born, families become part of the Effective Parenting Programme. Mothers are supported and taught about their babies’ development at every stage right up to toddlerhood and beyond. Two mothers arrive at the school for their regular Effective Parenting sessions. “We were finding children coming to school unable to hold a pen. They’d never encountered a book and they weren’t coping. Often the gogos (grandparents) who would tell the children stories were simply not around. Communication from parents was mostly limited to disciplining and controlling children. 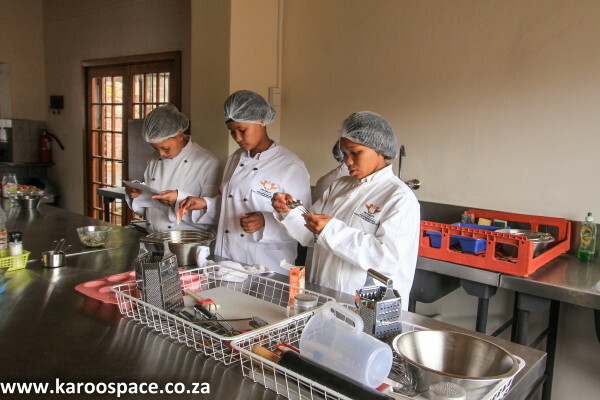 Karoo Space followed one of the Trust’s Early Childhood Development specialists, Lettie Martins, as she taught farmworkers’ wives how to prepare their children for school. 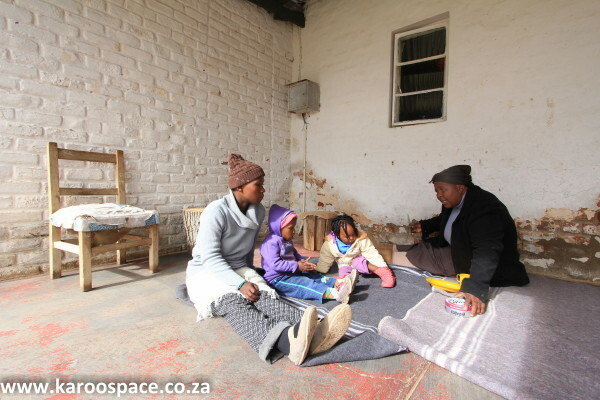 On a remote farm, sitting on blankets on the stoep, Lettie spoke in Afrikaans to the mother of a three year old, explaining that whatever the home language, they have found that teaching children basic concepts makes an enormous difference when they reach school. 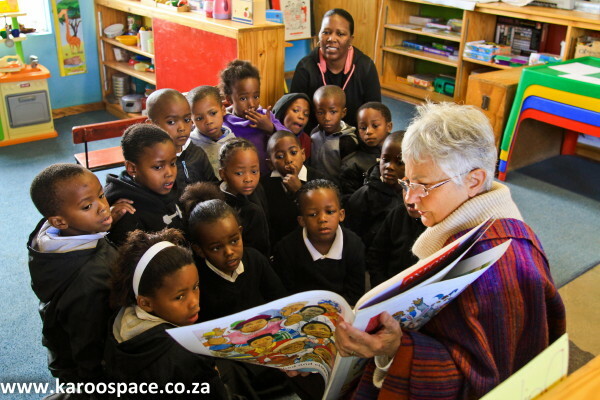 The school offers pregrade education and one of the first things they are taught is how to interpret their own lives, drawing pictures of their surroundings and explaining these to teachers, first in their home languages of Afrikaans and Xhosa, and later English. 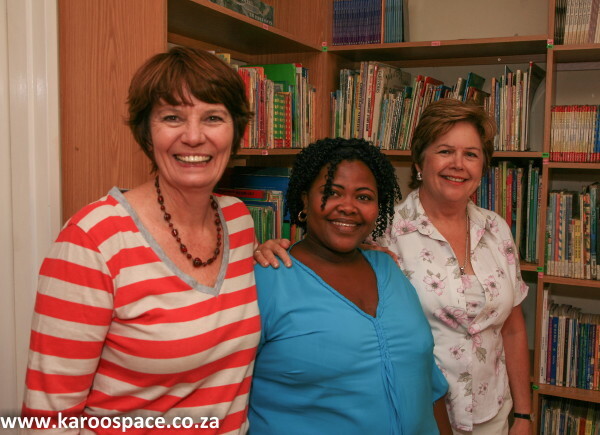 Teacher Vuyokazi Katise (centre) with co-founder Lesley Osler and Clare Barnes-Webb. Vuyokazi was once a learner at the school. Now she is one of the HCET’s early childhood development specialists. The Trustees, the teachers and now the parents around HCET are absolutely convinced that investing in the first 1 000 days of a child’s life is the most effective way of making the community and the world a better place. “Finland has the right idea,” said Lesley, whose eyes light with a bright and tender flame when talking about education. “They make sure that the most sought-after and highly regarded profession is one in Early Childhood Development. Unlike here in South Africa, where you’ll often find recent and completely unqualified school-leavers put in charge of young children in the classroom, the Finns believe that this is the most important stage of a child’s life. You need to have a Master’s degree to teach the youngest children. “As a result, they have no illiteracy, no drop outs. 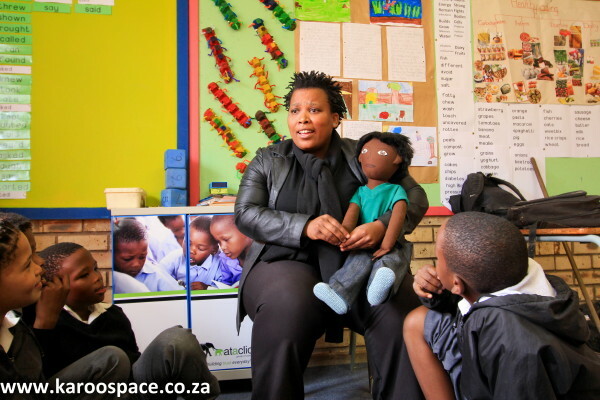 Teacher Hanna Mphemba works with a ‘persona doll’ dubbed Thabo. This method helps children deal with issues they face outside of classrooms, like bullying, discrimination or abuse. So how does the Trust work with families or children who are broken? Despite their incredible success stories over 25 years (including a dramatic reduction in children afflicted with Foetal Alcohol Syndrome Disorder), there are still children suffering from malnutrition and abuse at home, and many who face almost insurmountable learning barriers. The Trust tackles these issues in various ways. Each class between Grade R and Grade 9 has a ‘persona doll’. This lifelike figure is given its own personality by the teacher and the children, and through it, various issues can be discussed – everything from bullying to problems with reading or racial discrimination where they live. The Trust also runs TLC (Tender Loving Care) weekends for troubled children. 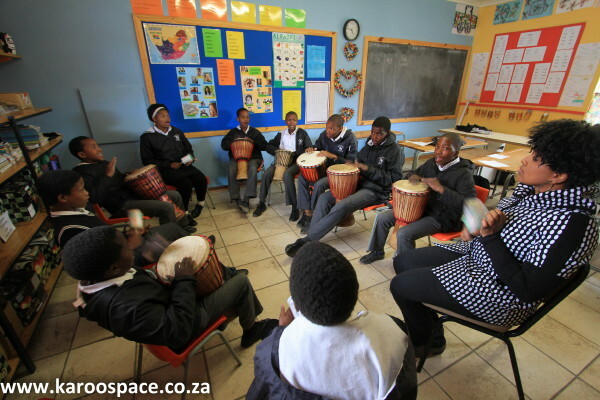 They are taken to a nearby farm where they attend sessions with a psychologist in between swimming, dancing, singing, drumming, cycling and walking in the veld. Teachers at the HCET undergo ongoing training and support. In the classrooms, they help children become problem solvers and to apply their knowledge through Philosophy for Children, Free Writing, Free Drawing, Number Sense and Thinking Maps. The HCET Youth Empowerment Hospitality Programme teachers youngsters skills in computers, housekeeping, front of house, basic cooking and waitering. When the children leave after Grade 9, many are awarded bursaries to help them study at the surrounding schools and tertiary institutions after school. And even when they have completed their studies or training and start jobs, the Trust mentors them through the first few years of their working careers. For those who cannot cope with academic life because of foetal alcohol syndrome or other problems, the Trust runs Youth Empowerment Programmes. One offers Farmworkers’ Apprenticeships and the other trains school-leavers in hospitality: waitering, housekeeping, front of house, basic and advanced cooking, and industry-related computer skills. They leave with an accreditation certificate from City and Guilds in the UK. “You have got to be quite patient and tenacious. You need to go back again and again. There is no silver bullet that fixes everything,” said Lesley. 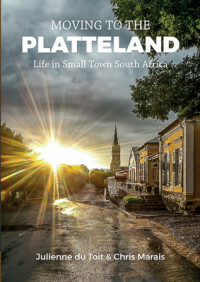 This is an excerpt from Moving to the Platteland – Life in Small Town South Africa by Julienne du Toit and Chris Marais. Hello Les, Clare, Anya and All you Fabulous, Wonderful, Inspired, Committed, Influential people! Congratulations on your continued success. Wow – I must say, as a transplanted person from Africa…all we hear overseas, is doom and gloom from there. Yet here is something that is a glowing example of dedication that is showing no borders or boundaries and can only benefit each child going through this but later on areas surrounding these children who have become adults. hats off to each and everyone concerned. Well done. A really good story and very heartening to read. You guys have the knack of discovering these little nodes of the real South Africa.